Stats tend to change as new items are equipped, for the majority of the expansion vers has been the highest simming. Usually i sim new stat weights once a week depending on what i got from the week prior and the weekly chest. Havoc has been playing the same build since Uldir: Blind Fury, Immolation Aura, Trail of Ruin, Netherwalk, First Blood, Unleashed Power and Demonic. 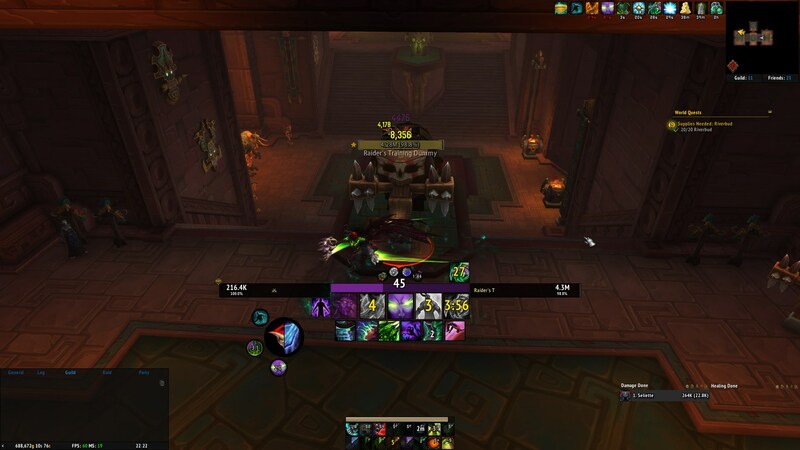 Depending on the fight we can swap Trail for Fel Barrage if big burst aoe is needed like on Opulence P2. End of WoD - early NH i was in Gnome Pest Control Inc., early NH because after the first Trilliax kill we merged with another guild and formed Entmoot which i was a part of until late Antorus where joined another guild called Narada. Unfortunately the guild disbanded on Argus progress and i went to Entmoot. Now Entmoot had been in a downwards spiral for a while, ive been wanting to leave for a while and now the guild has disbanded. Im a dedicated raider who plays for the team, getting cool ranks on warcraftlogs has never been of interest to me. Ive always been for interested in killing the bosses. Based on the description on wowprogress that is also what i expect from raiding here. Also a relaxed environment and a positive attitude all around.